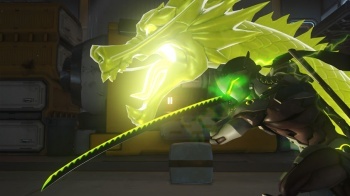 Blizzard is "open" to an Overwatch Nintendo Switch port, but admits there are a lot of technical hurdles to surmount. Blizzard has some good news and bad news for Nintendo fans looking to play Overwatch on their Switches. Speaking with Express, Overwatch director Jeff Kaplan says that it is open to a port of the game, but would prove to be a huge technical challenge. The bottom line is that the Switch simply isn't powerful enough to run Overwatch in its current form, and the game would have to be altered significantly. "I think the problem is, we've really targeted our min spec in a way that we would have to revisit performance and how to get on that platform," Kaplan said. "And also, it's already challenging right now maintaining three platforms and patching simultaneously, which is something that we've finally been able to achieve." "Our first couple of patches would come out on PC first and then later on the consoles," he continued. "And a lot of that is because you're working with Microsoft and Sony, and you want to be compliant to their ecosystems. Adding a third ecosystem to that just adds a lot of complexity for us, as well," he explained. But Kaplan is a big fan of the console, and stresses that "Just because we're not on a platform right now, it doesn't mean we won't reconsider it in the future, so we stay aware of all these things."